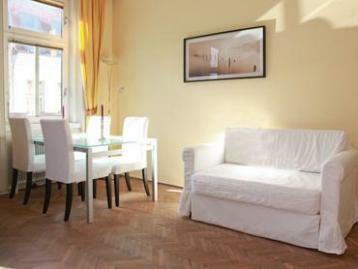 First thing you notice in this apartment is the very bright and spacious interior. The whole family will have its comfort and privacy here. So while you’re enjoying a coffee in the kitchen, the kids won’t be fighting for space on the big couch. Nice. The location is also great for relaxing, in a more residential and green area outside the centre.